Editor’s Note: A generation represents a period of roughly 20 years. You know what else happens over 20 years? New technologies are developed that make our lives better, easier and fuller. The ’40s ushered in the TV along with a decade of military advancements, including the guided missile, helicopter and atomic bomb. The ’60s brought us the first heart transplant, BASIC programming language, the light-emitting diode (aka LED), AstroTurf and the birth control pill (ah, those “make love, not war” hippies). In the ’80s, earlier advancements from the ’70s including cell phones, video game consoles and personal computers were first marketed for mass consumption. And the turn of the millennium spawned the internet, email, smartphones, tablets, artificial intelligence, electric vehicles… and the list is still evolving. The advancements above are all still around today… albeit in different iterations. After all, evolution is the only way to stay relevant and competitive in today’s marketplace… which is exactly why we’re making exciting changes to your free Investment University subscription. It’ll still be free, but the mission behind our nearly 20-year-old Investment U e-letter has evolved… along with your needs. Chief Investment Strategist Alexander Green and ETF Strategist Nicholas Vardy strive to do more than just educate you about investing and leave you to separate the wheat from the chaff. Rather, they want to empower you to confidently take charge of your journey from financial literacy… to financial liberty. And they’ll be there involving you every step of the way. After all, they’re convinced it’ll be the shortest way to a rich life – better, easier and fuller. When I studied finance in the classroom, roughly 80% of the focus was on evaluating stocks. About 15% was devoted to understanding bonds. The remaining 5% covered everything else. The implicit message was clear: The only important asset class worth learning about was stocks. Once I began studying the world’s very best traders, I found that their approach to investing was different from what I had learned in textbooks. The top traders focused on many other asset classes – areas that were barely covered in any text. But what really set them apart from the crowd? They were agnostic about where and how they made their money. Adopting this belief drove me to study asset classes other than U.S. stocks. I studied everything from global stocks to commodities to global currencies. My research led me to develop an extremely flexible approach to investing. In my mind, it didn’t matter how you made money in the markets. You could get rich speculating on the price of coffee or by investing in the latest red-hot Silicon Valley social media stocks. The only thing that mattered was the size of the profits in your brokerage account. Today I track and analyze hundreds of ETFs. After the market close each day, I generate a report that analyzes hundreds of markets, asset classes and investment strategies around the world. Keeping tabs on these asset classes helps me identify the very best money-making opportunities. And today – based on my survey of the wide range of markets – I want to share with you what I believe is a once-in-a-generation opportunity. 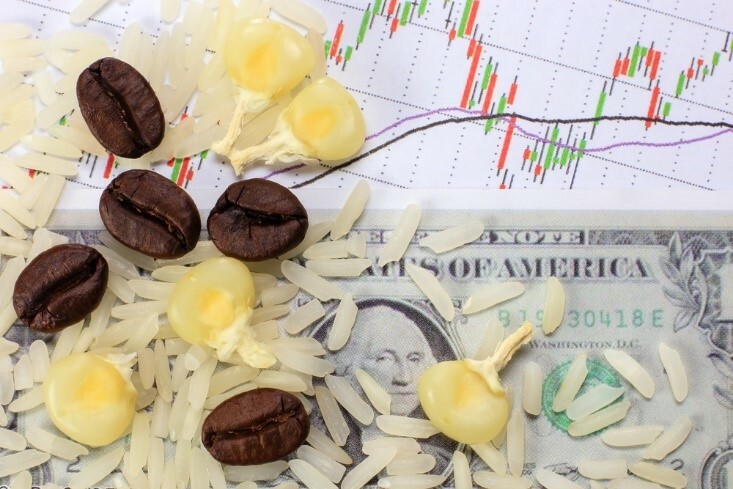 It relates to an asset class you may have never considered investing in: commodities. Commodities are the raw materials or agricultural products that go into finished products. Commodities include resources such as energy (oil and natural gas), metals (gold, zinc, aluminum), “soft” commodities (wheat, corn, soybeans) and even livestock. Investors are hardly excited about commodities today. In fact, they’re barely on most investors’ radars. So that is precisely where the opportunity lies. Truth be told, I almost fell off my chair when I first came across this chart. The valuation of commodities hasn’t been this low relative to stocks since the 1970s. I never imagined that – nine years after the global financial crisis – commodities could be this cheap. Most importantly, the last time commodities were this cheap was just before the big bull markets of the 1970s and 2000s. And that last bull led to a more than 300% gain in the S&P 500. But what’s remarkable in this case is commodities have recently entered an uptrend. That’s a one-two punch that, in my mind, makes investing in commodities a no-brainer. And I’m not alone in this view. Some of the world’s smartest money is also saying commodities are a screaming buy. In January, value investor Jeff Gundlach predicted commodities would be one of the best investments in 2018. After all, the prospect of another 300% gain over the next decade sounds like a lot. It works out to more than a 12% average annual compound rate of return. You’d be hard-pressed to find any asset class that comes close to producing gains like that year after year, especially with U.S. stocks being as expensive now as they were during the dot-com boom. Moreover, here’s the great news: This will be the first time the average investor will be able to profit from this massive commodity boom! Back in the ’70s, if you wanted to speculate in commodities, you’d have to wade into the Chicago trading pits. Even during the boom of the 2000s, there were no commodity ETFs to invest in. Today, however, you can invest in a broad index of commodities through an ETF with the click of a mouse. My favorite way to invest in a broad-based exposure to the major commodities is through the PowerShares DB Commodity Tracking ETF (NYSE: DBC). At this moment, commodities are as cheap as they’ve ever been. Nevertheless, commodities have recently entered an uptrend. That’s a formula for a commodity boom if ever I saw one. And the last time commodities boomed, savvy investors quadrupled their money. Today commodities may once again offer the chance to replicate these kinds of returns.